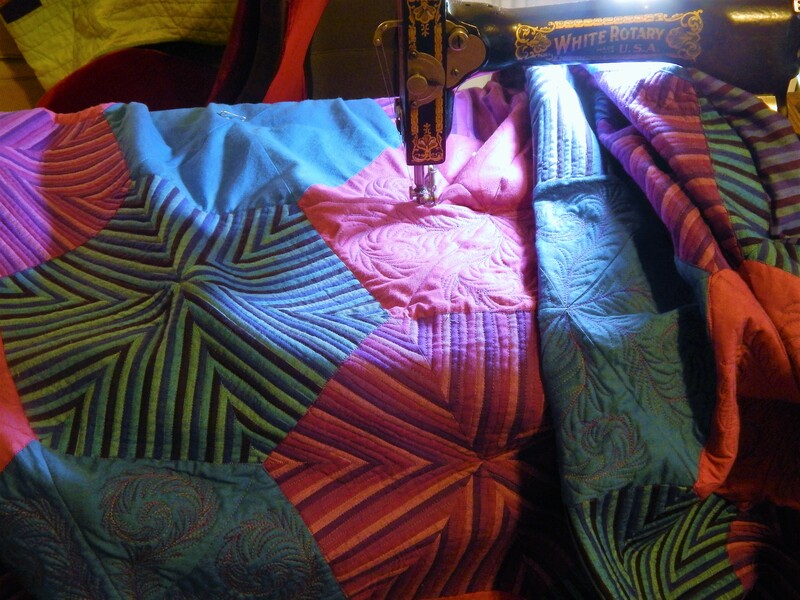 here is the quilt front and back…..I should be able to finish it tomorrow. 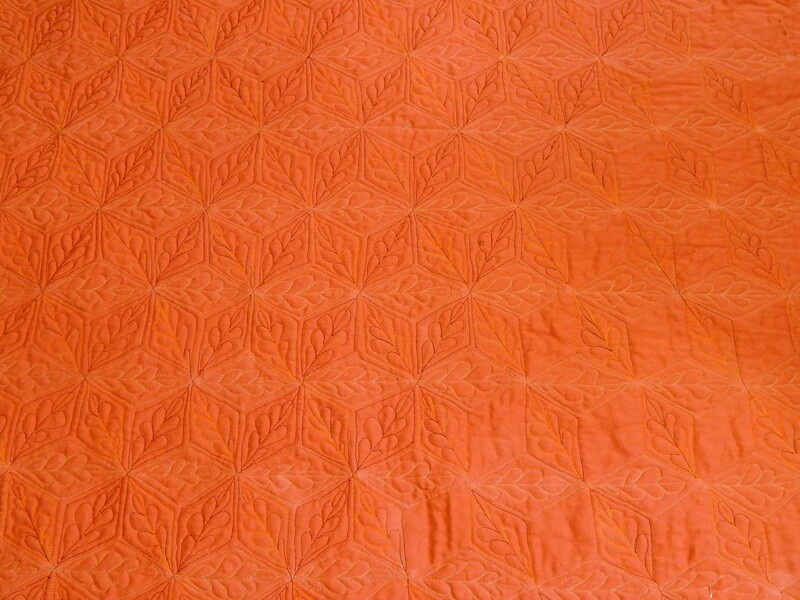 This entry was posted in Garden, Quilts and tagged garden rose, Quilting, Quilts, treadel quilting. 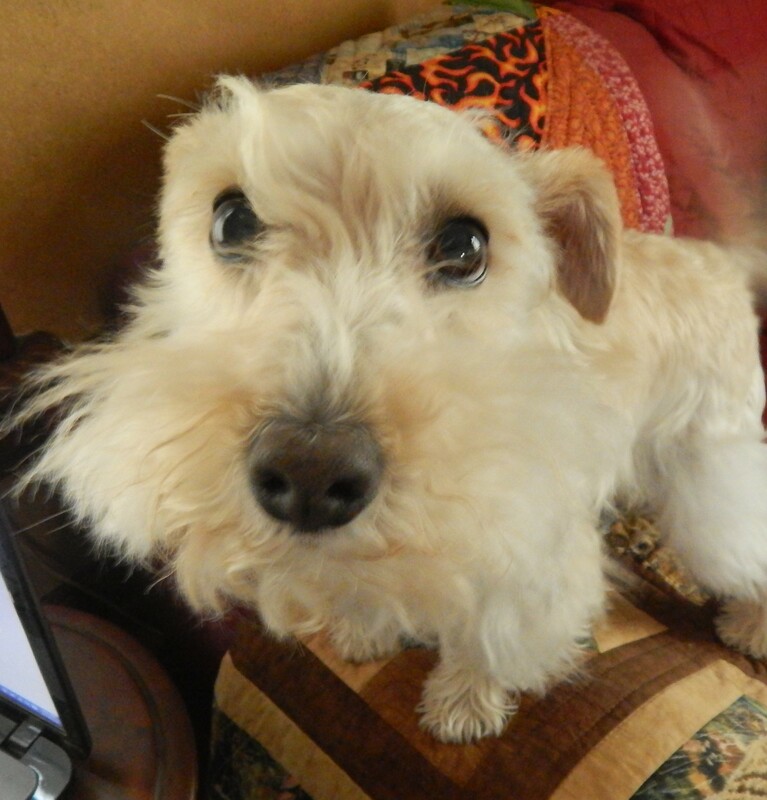 Teddy really DOES look like he telling you to pay attention to him! Thanks for the rose photos. I especially like the dark coral one. Your quilts look great. Just one question–do you ever sleep? You are SO productive! I’ve seen that look . . .
Amazing job on the quilt! 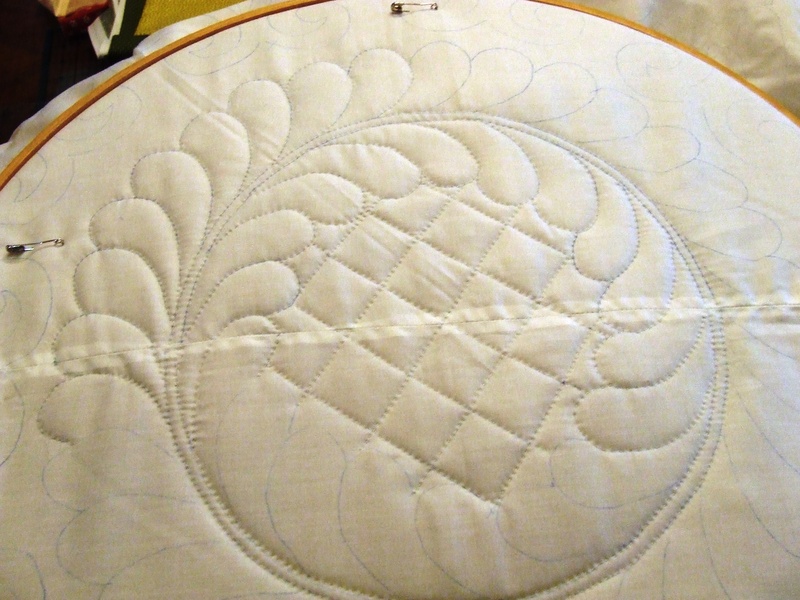 Your roses are gorgeous and the peppered cotton quilt looks great. 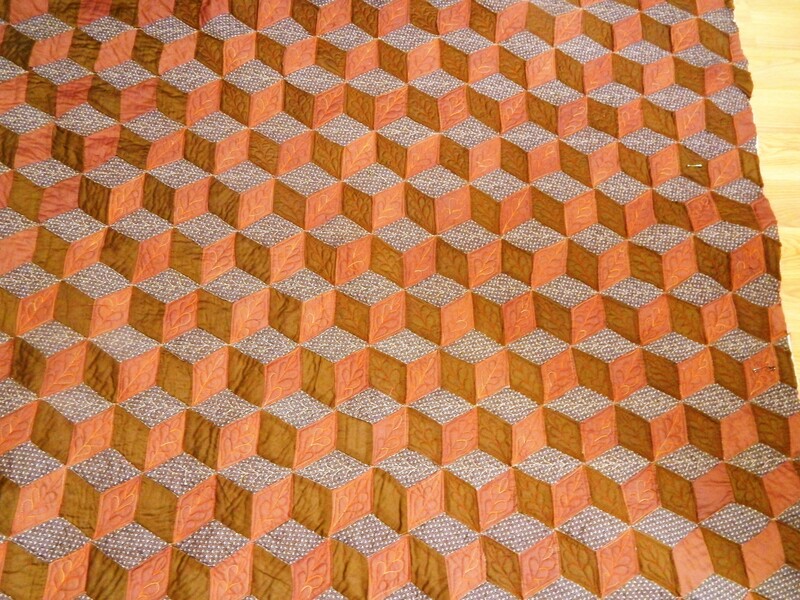 Nice job on the quilting! Thanks for the videos, too! 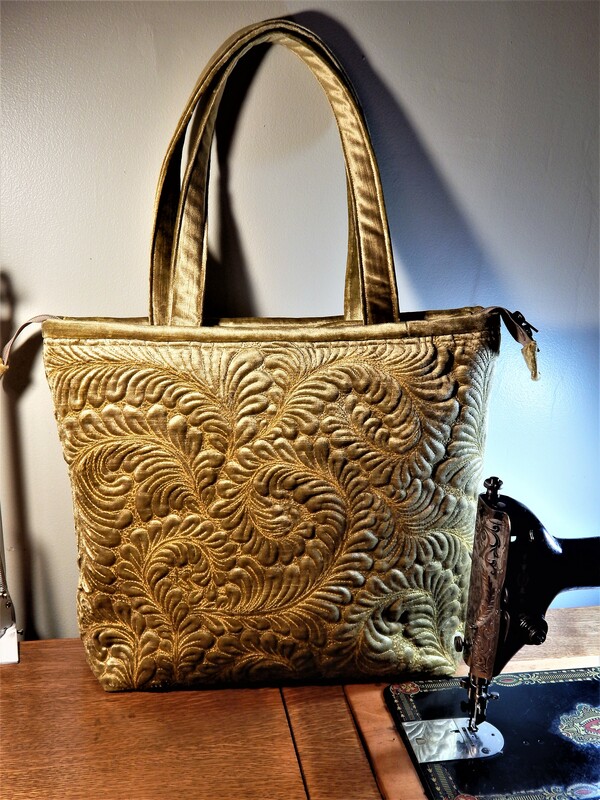 I can see very well by that Tumbling Blocks whispered you into buying it years ago. I wouldn’t say the use of color is non-traditional (color wheel-wise, but I’m the amateur here) but it is unusual and compelling. And boy, I can see the puckers from the non-enlarged photo. Bit of a beast. Two great videos. 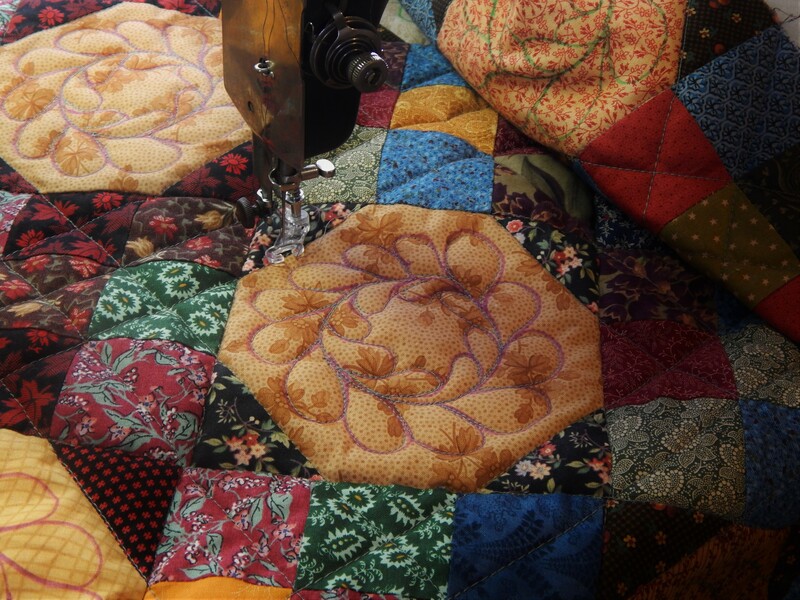 I didn’t find the thump, thump of the treadle distracting; it just kept a steady rhythm as you were quilting. I like the idea of practicing on an old quilt top. Thanks so much for the inspiration! thanks, the sound is sort of soothing while you work…….but glad it didn’t make the video hard to hear.